Lancashire Constabulary have announced that the recently installed average speed cameras on the A583 Blackpool Road are going live on Tuesday 6th March. In Lancashire the published policy of the Constabulary on roads with a 50mph limit is to offer speed awareness courses OR fixed penalty (currently £100 and 3 penalty points) for speeds of between 58mph to 64mph. The threshold for fixed penalty only is for speeds between 65mph to 75mph. Speeds of 76mph and above are dealt with by the Courts only, initially by way of Single Justice Procedure Notice. Those who have participated in a speed awareness course in the 3 years before a further speeding offence are not eligible to attend it again but if your last offence was over 3 years ago then the course remains available. Those with nine or more penalty points endorsed on their licence will not be eligible for a fixed penalty. Points are relevant for this purpose for 3 years and run from offence date to offence date. Anybody who reaches 12 points or more are at risk of a totting up disqualification at Court for a minimum period of 6 months. This rises to 12 months in the event of a relevant previous disqualification of 56 days or more. Those at risk of a totting up disqualification are able to put forward mitigating circumstances to the Court and if they are exceptional then the Court may exercise its discretion not to impose the otherwise mandatory disqualification. Those drivers caught in that situation ought to consider obtaining specialist legal representation at Court, a service we excel at providing. It is perhaps noteworthy that ignoring these things generally does not make them go away or achieve a better outcome. 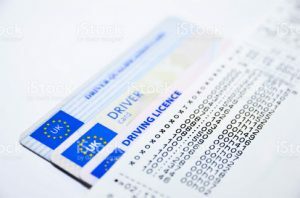 It is a legal requirement to complete and return a notice of intended prosecution and failure to do so attracts 6 penalty points. We are encountering an increasing number of people who instruct us that the first thing they ever knew about court proceedings was when they received notification of the outcome; a pro-active response is recommended. It can be more difficult to undo certain outcomes after the event, two court hearings will cost more than one when representation is required and concluding these types of cases in the Magistrates Court can be far more cost effective than pursuing a Crown Court trial. The policy of Lancashire Constabulary and its generosity in dealing with relative high speeds by way of fixed penalty makes an interesting contrast to the Magistrates Court Sentence Guidelines. In a 50mph zone like the A583, speeds of 56mph to 65mph have a guideline sentence of a disqualification from driving of 7 – 28 days OR 4 to 6 penalty points if the case is dealt with at a Magistrates Court. Speeds of 76mph and above carry a guideline disqualification of 7 to 56 days OR 6 penalty points. Convictions at Court also carry prosecution costs (£85 for an early guilty plea), the mandatory victim surcharge and a fine linked to your relevant weekly income. When the average speed cameras were turned on from Tarleton to Southport, we received instructions from a number of motorists who were caught daily when the cameras first went live, typically at speeds at or marginally below the previous national speed limit. Courts will have to treat these as separate offences and whilst Magistrates are generally very sympathetic to people in that position, the long term consequences can be very expensive; many insurers will not wish to offer cover and specialist policies may prove expensive. Our advice has to be to drive safely and in accordance with the conditions at all times.